Each a double-sided gold lion head. 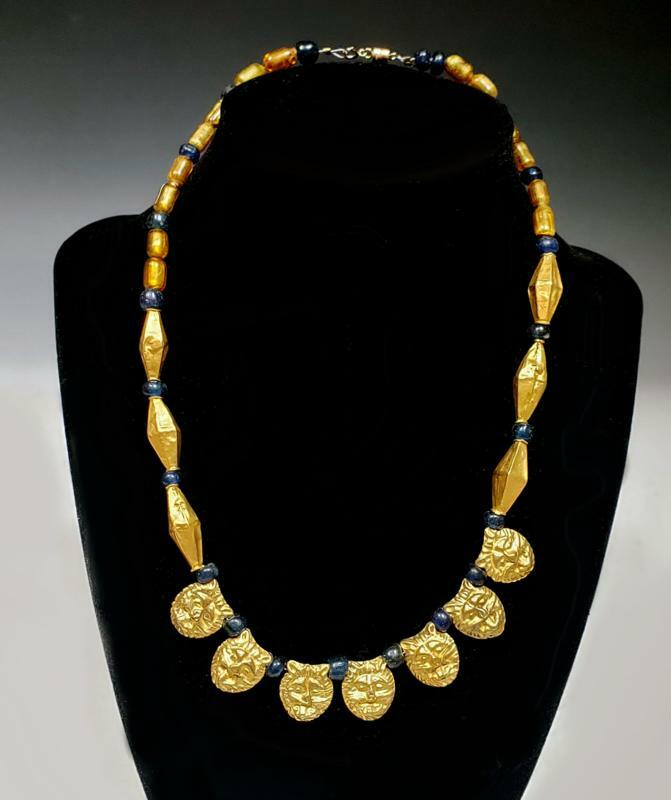 Along with biconical, faceted gold beads and yellowish (Byzantine) and blue (Roman) glass beads. Size: 18 inches L. modern restringing and gold clasp. Provenance: Ex Shlomo Moussaieff Collection, 1948 - 2000. Exported with the permit of the Israeli Antiquities Authority.